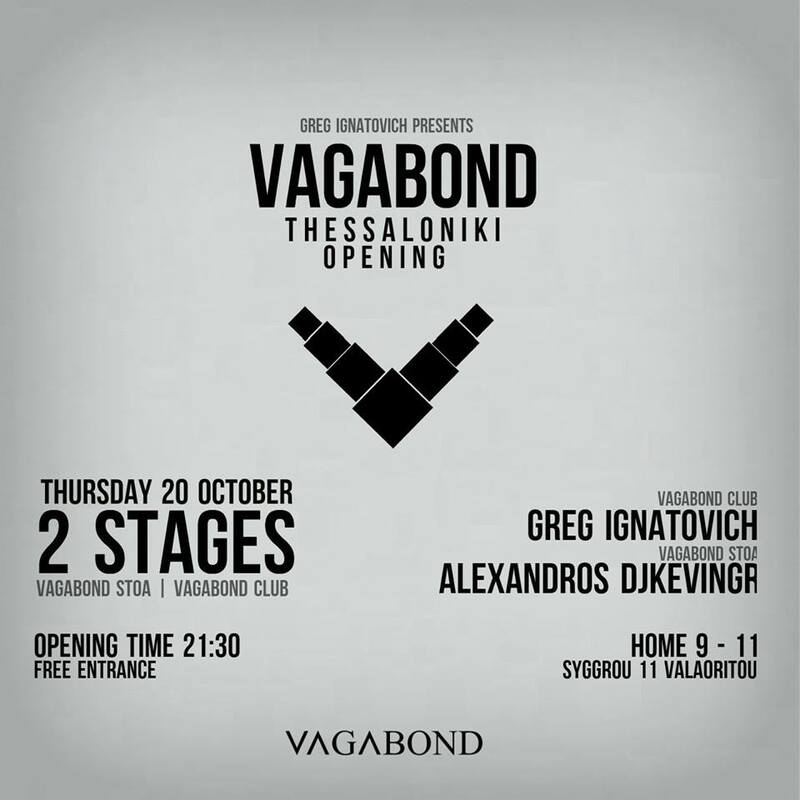 Greg Ignatovich Pres.Vagabond Thessaloniki Opening [Includes ARTists PResentations] - Track? !D. Greg Ignatovich announced the premiere of the Vagabond in Thessaloniki. 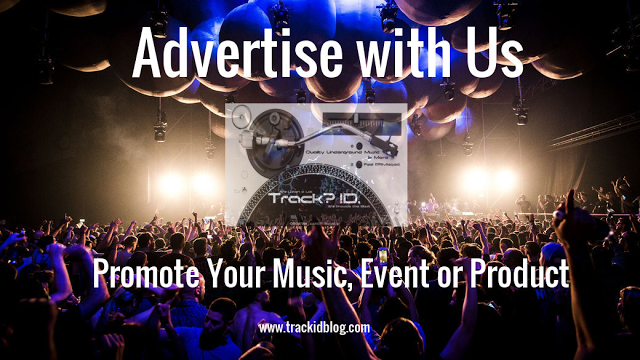 Vagabond is a Record Label and a Concert Venue with a simple yet demanding mission: A unique club music experience and dynamic underground event series. The show will take place in the heart of the city in Valaoritou Area at Club Home 9 - 11. There will be 2 stages, Vagabond Club with the capacity of 400 and the Vagabond Stoa with the capacity of 100 customers. Alexandros Djkevingr was born @ Helsingborg of Sweden. Since his parents were both Greek he moved back to Hellas. There he developed a strange love about electronic music since he was very young. At the age of 10 he bought his first albums with main influences The PRODIGY, Chemical Brothers, Fatboy Slim, MOBY etc. Year after year he collected more n' more albums and at the age of 14 he boughthis first cdjs. A few months later he played for the first time in front of a crowd @ many beach bars in the area of Platamon. 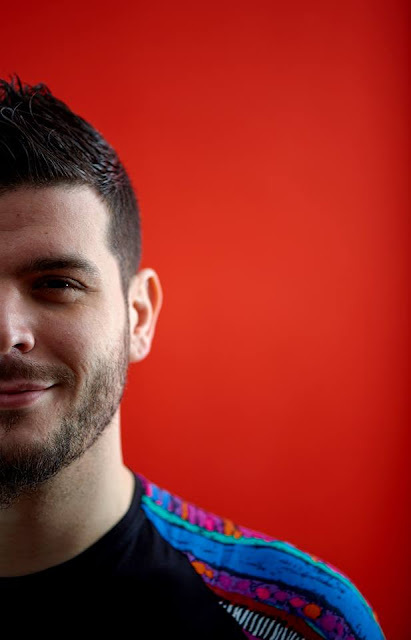 Since that he has given gigs in some of the biggest clubs all around Greece and also gave several performances around Europe. Loves to do weird stuff while he spins and mix in several loops & effects @ once. 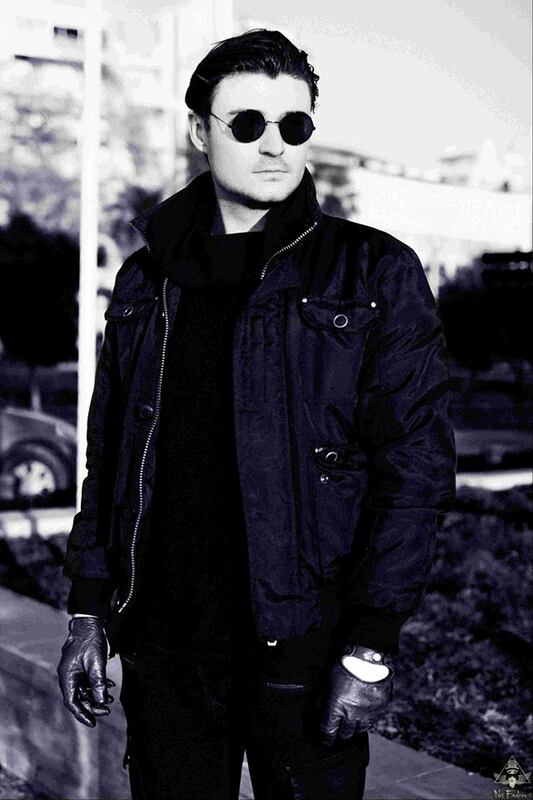 He started experimenting & creating his own loops n' music during 2012 while he is into tech house & indie/gangsta house but he's never afraid to take a risk to reach new levels & grounds although he is not into that particular genre.